Lee Bailey’s EUR/Electronic Urban Report reported today about Jam Master Jays funeral at Allen Cathedral in Queens. Jam Master Jay was laid to rest at Ferncliff Cemetery in Hartsdale, New York. Already on monday, November 4th, the EUR reported about the investigations which were done up to now in the case of Jays murder. The funeral service for JMJ will be held Tuesday (November 5) at the Allen A.M.E. Cathedral, 110-31 Merrick Blvd., Saint Albans, Queens from 10 a.m. to 11 a.m. The wake will be held on Monday (November 4) at the Jay Foster- Phillips Funeral Home, 179-24 Linden Blvd., Saint Albans, Queens. A private viewing for family and friends will be held from 2 p.m. to 6 p.m.
A public viewing will be available from 7 p.m. to 9 p.m. Following the funeral services Tuesday, Mizell will be buried at the Fern Crest Cemetery located at 280 Secor Road, Hartsdale, New York. P.O. Box 3497, New Hyde Park, NY 11040. Jam Master Jay, born Jason Mizell, was shot and killed in a Queens based studio on Merrick Boulevard yesterday, Wednesday 30th of October, at 7:30 pm local time. He was only 37 years old (born January 21, 1965). 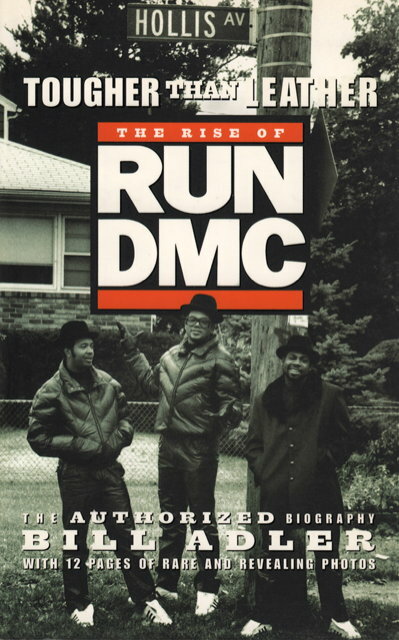 Run-DMC was the group that introduced me to rap along with PE, LL Cool J and the Beastie Boys. The first rap record I ever owned was the “Mary, Mary” 12inch with “Raising Hell” on b-side . That was in 1990 or 1991. OK, that was right after Run-DMC biggest success, but at that time I joined them and – believe me it’s still continued – I love them. They’re my “all-time favourites”. I got all albums twice and a huge set of 12inches, 7inches, CD-singles – I spent a lot of money and time collecting it. Just because I love their music so much. Today I heared the bad news on the german radio. Also a lot of people – visitors of my website – sent me the bad news to inform me. My thanks to those. Now, just asking myself WHY?!? Run-DMC and JMJ for me embodied the good guys in rap. No gangsta style, no dirty fronting and dissing – the smart and nice guys of the game. True to the fan. The eminience of rap! And now Jam Master Jay is dead and I can’t imagine any reason why he got murdered. J is dead – what a losing for his family, Run-DMC and the whole rap game. One of the good guys is gone. 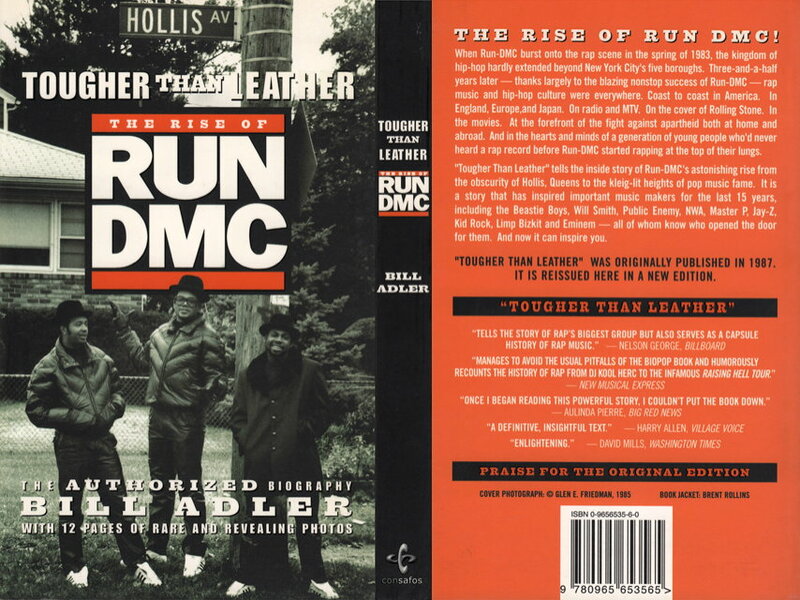 In 1987 the authorized Run-DMC biography Tougher Than Leather was published. The book was written by Bill Adler. 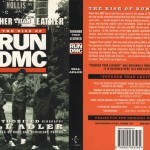 In 2002 the book was reissued with a foreword to the 2002 edition by Bill Adler.